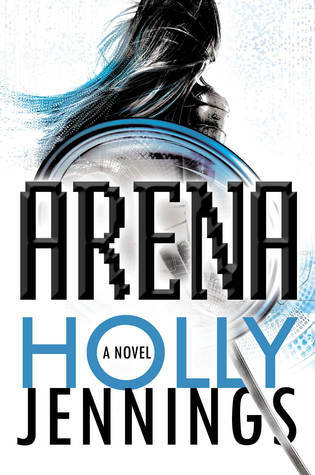 Arena by Holly Jennings follows Kali Ling a fighter in the RAGE tournaments. Every week Kali enters the virtual ring and is killed. The fighters feel pain but everything else is digital and when they die they wake up in the real world. I picked up this novel because I thought it would be similar to Rush by Eve Silver which I loved. It has a similar concept. Both deal with fighters in a virtual ring, but Rush blends in an alien/sci-fi theme and Arena, well, Arena felt like the concept of the story was never fully realized. The characters in Arena came off as one-dimensional. Kali’s lover is killed right in front of her (for real) and yet she was very quick to move on to the new “hottie” on her team. It was a classic enemies turned romantic interest plot. I had trouble believing it. To be honest, I had a hard time believing anything the characters did. Their motives didn’t feel solid enough and I wished the characters had been further fleshed out. Overall, this book was interesting enough to keep me reading until the end but not interesting enough for me to want to continue the series. It felt like it could have been edited down, there were things happening that were not central to the story and added nothing of value. If you enjoy video games and fast-paced reads this might just be for you.